There are two rooms, a room with a fireplace, kitchen and sauna in the house. The house accommodates the total of 8 people. The historical atmosphere has been preserved in the renovation and the unique surrounding has caused the use of natural materials. The thatched roof of the stone-wall house is of self-harvested reed from the bay. The road comes to an end in the yard of Tuulingu farm and the sea begins. The farm has witnessed different regimes, understandings and people. A lovely converted grain store with two four bedded dormitories right next to the heart of the nature reserve, just open the door and drink in the sights and sounds. Ants the owner could not have been more helpful, a mine of information and good company. Das Haus ist direkt im Naturschutzgebiet gelegen. Wir haben uns dort sehr wohl gefühlt. Der nette Vermieter hat uns mit Informationen gerne weitergeholfen und auch bei bei allen anderen Anliegen schnell und unkompliziert unterstützt. Wir können dieses Haus gerne weiterempfehlen. We have spent 2 weeks at the property. Our experiens is VERY POSITIVE! The owner of the cottage and his family are very kind and helpfull people. They welcomed us with appelpie and all the time we could ask everything and they only wanted to help. We are a family of 5 people including a child of 12 y.o. We live in Holland and in Russia. House is beautifull and very practically arranged. We could use 3 exelent bycicles and a boat. There are 2 big bedrooms upstears and downstears a living room, douche and sauna. And open hard. Everything is very clean, everything works. A big dining table, very convenient. All pans and kitchen equipment is new. Outside is beautifull nature, very quet. 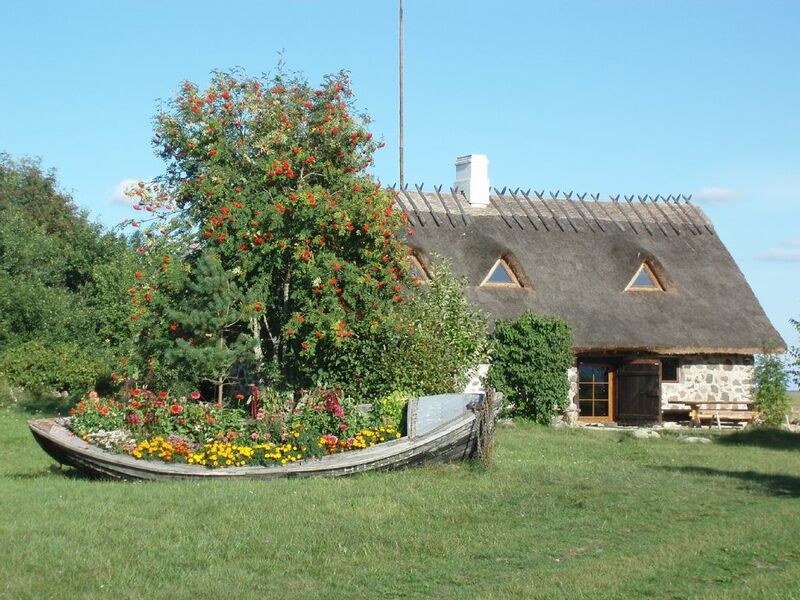 House is situated at the banch of a golf, so from the house you can see water, a lot of birds and some wild cows (but the can not come to the house). A little further is a forest. Very beautifull, quet and peasefull. In Tuulingu you will stay in natural and peaceful environment. Here you can observe the birds’ activities during their migration, nesting and preparation for migration to the south in autumn. The meadows are taken care of by Highland cattle, sheep and dairy cattle. This place is known among the birdwatchers as European master – right here birdwatchers have seen the greatest number of different species in 24 hours.